Culture | “Journey from St. Petersburg to Moscow,” A. Radishchev. 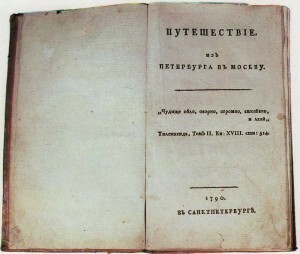 Title Page. “Journey from St. Petersburg to Moscow,” A. Radishchev. 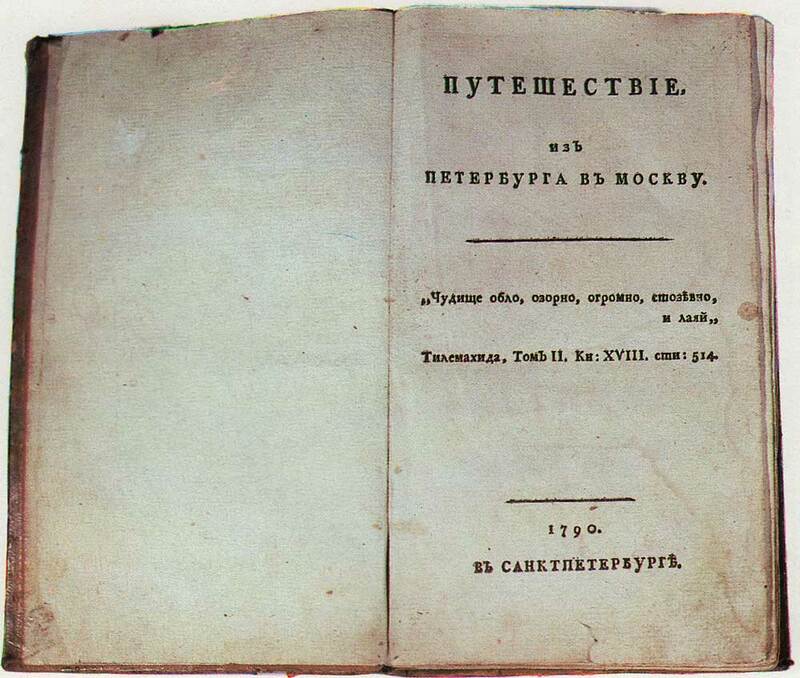 Title Page. Review of Catherine I Ina book “Journey from St. Petersburg to Moscow.”A. N.Radischev. Unknown Artist. XVIII century.